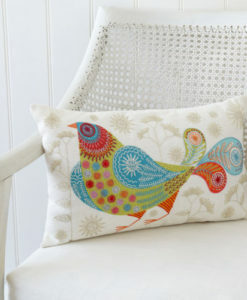 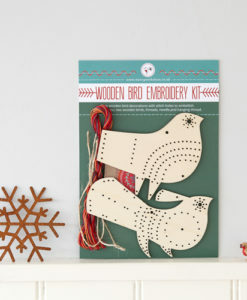 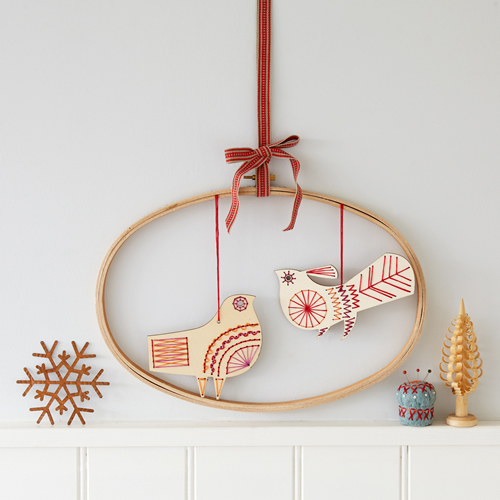 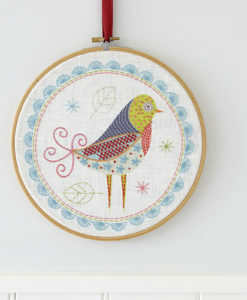 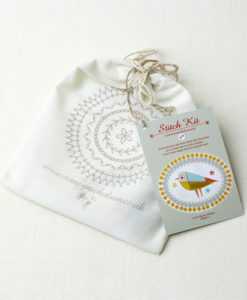 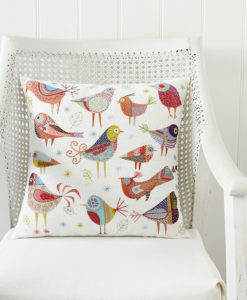 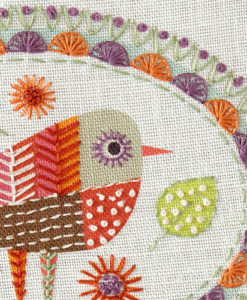 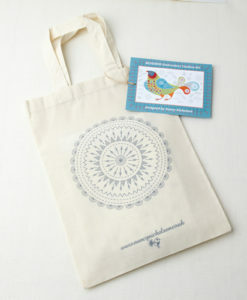 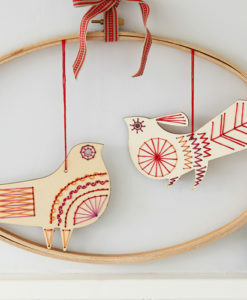 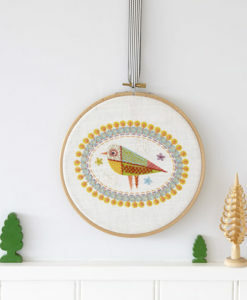 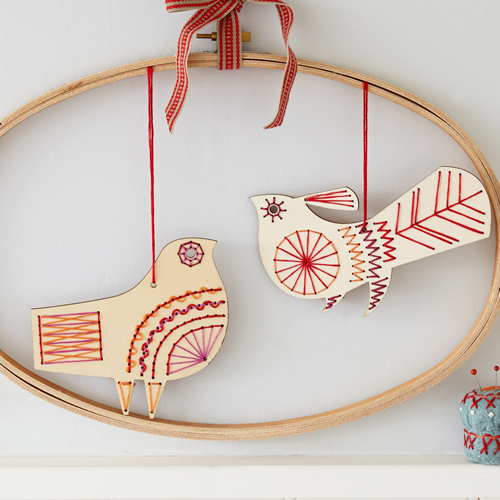 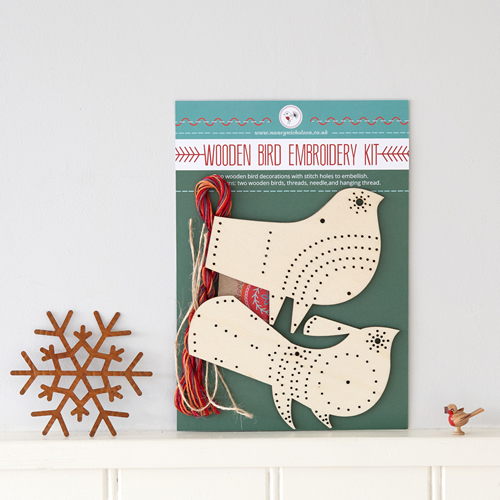 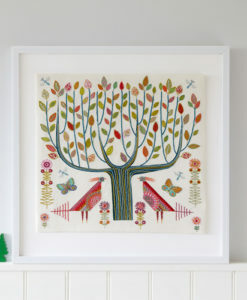 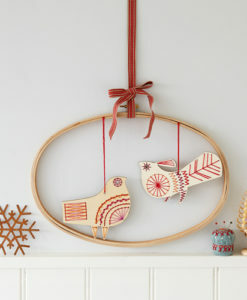 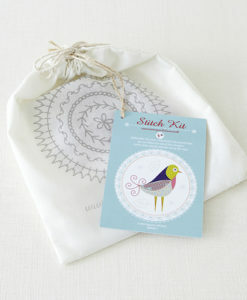 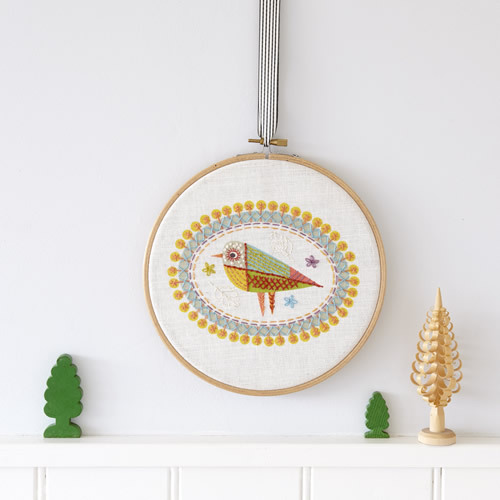 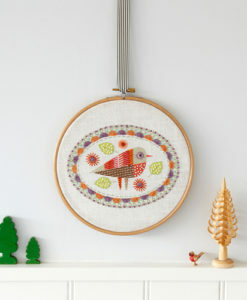 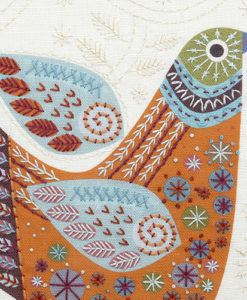 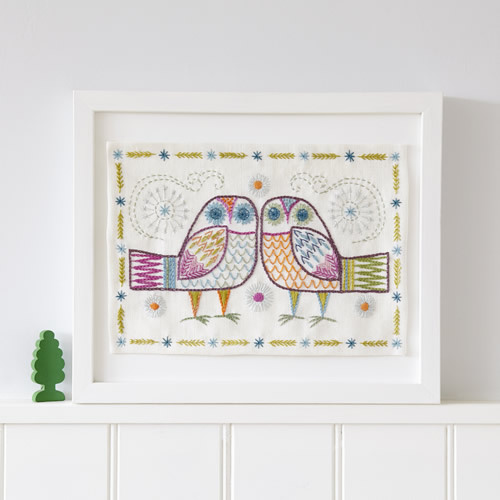 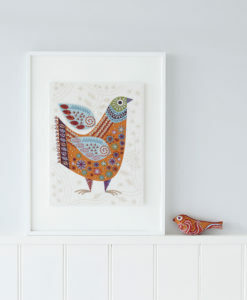 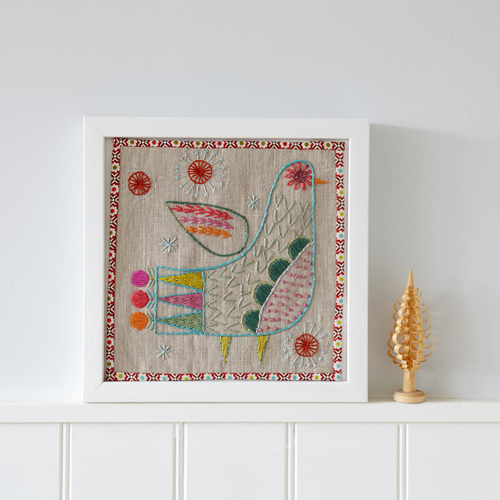 Perfect for Christmas, great for children, our wooden bird embroidery kit has two decorations with stitch holes to embellish. 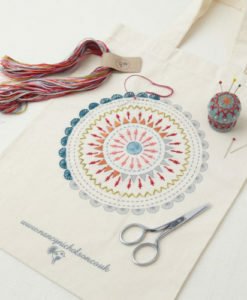 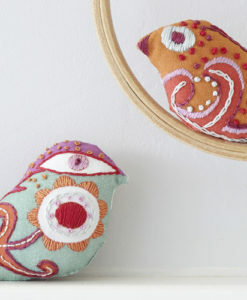 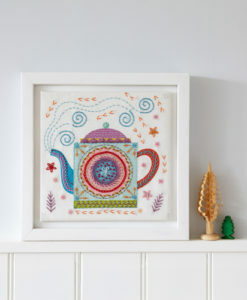 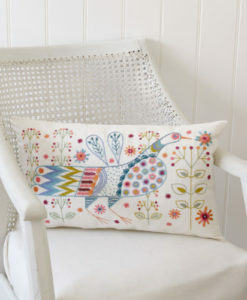 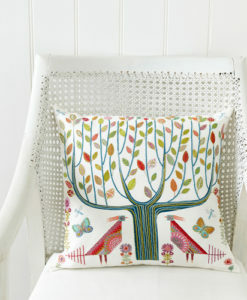 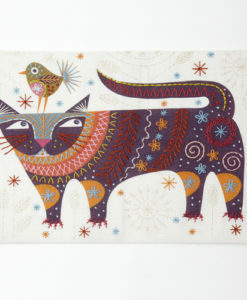 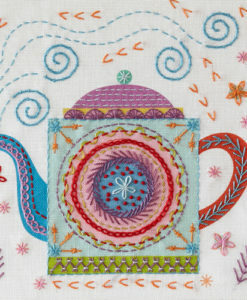 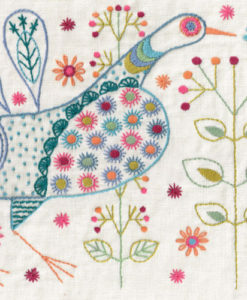 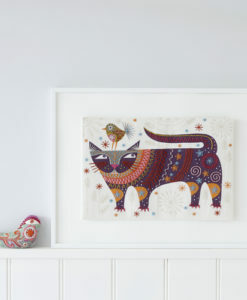 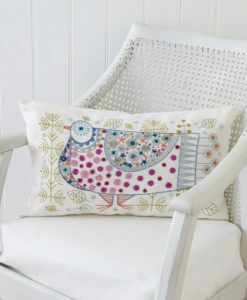 Also stitch suggestions to try, but you can always invent your own using different combinations of stitches. 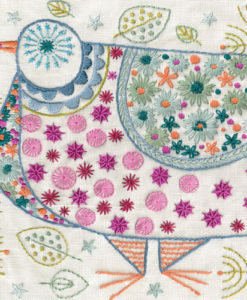 When you have finished you can back the birds with felt if you want a neat finish. 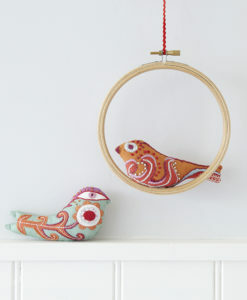 Use the string provided to make a hanging loop.. 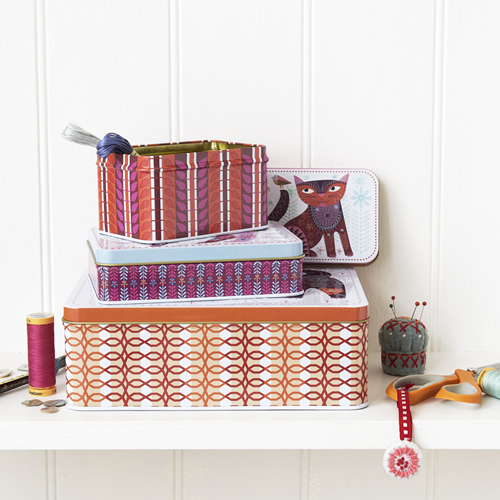 Pack size 14.8 x 21 cm approx.